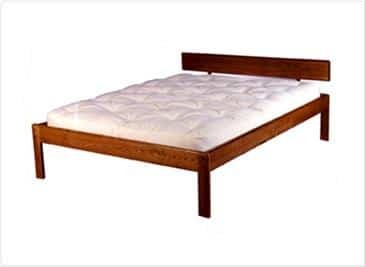 Bedworks Freeport - Bed Frame with Headboard | Buy at WhiteLotusHome Online ! Simplicity in design makes this solid wood bed frame at home in any décor. Made of solid North American ash, a superior hardwood with a beautiful grain. Solid hardwood slats for excellent mattress support (we don't use pine because it's too soft). Metal-on-metal corner connection frame assembly for added strength and durability. TWIN 78" 43 1/2" 28"
TWIN X-LONG 83" 43 1/2" 28"
FULL 78" 58 1/2" 28"
FULL X-LONG 83" 58 1/2" 28"
QUEEN 83" 64 1/2" 28"
KING 83" 80 1/2" 28"
CALIFORNIA KING 87" 76 1/2" 28"